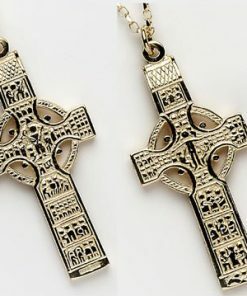 Our double sided Celtic crosses are available in gold, yellow gold, and sterling silver in a wide range of styles that are mirrored on both sides. All the crosses come in 10k or 14k gold and can be purchased with or without a chain. Celtic Cross Online has the largest selection of Celtic cross pendants on the web.